Silat beksi, a variation of traditional pencak silat, which is deeply rooted in the Betawi culture, is fighting to stay relevant in Jakarta’s ever modernizing society. Naupal Haryawan, the grandson of the style’s first four masters and teacher at the Silat Beksi Foundation in Petukangan, South Jakarta, said that the style had never gained a large number of followers due to the old Betawi teaching of being overly modest. He said that the first beksi style masters, whose styles were heavily influenced by traditional Chinese martial arts wushu, only practiced and taught the style secretly at night. While this way of teaching has become irrelevant in modern times, Naupal says they are now also challenged by the appeal of foreign martial arts. “Kids in Jakarta are becoming more and more interested in foreign forms of martial arts like taekwondo, muay thai and karate. They are enticed by blockbuster action films that extravagantly display their foreign appeal,” Naupal said, adding that young children often want to learn foreign martial arts to look cool. Teachers at Silat Beksi Foundation realize they must adapt to methods relevant to the culture of the city’s young if they want to preserve their style. “If we want beksi-style martial arts to stay relevant in today’s society, we can’t just continue with our old ways. We have to go out there and spread the word through every method possible,” the managing supervisor of the foundation, Indra Husein, said. Their strategies include fully utilizing the power of social media. Husein said the foundation had created a Facebook page, a YouTube account and a public blog. Seasoned students who had yet to become masters were encouraged to hold group practices near their homes. “We can’t follow the old Betawi belief that only masters of silat beksi are allowed to teach the style to new members. That will slow down our preservation efforts. What we have to keep in mind is efficiency,” Endang, a teacher at the foundation, said. The foundation is also directly targeting youngsters by offering training as an extracurricular activity in local primary and junior high schools. 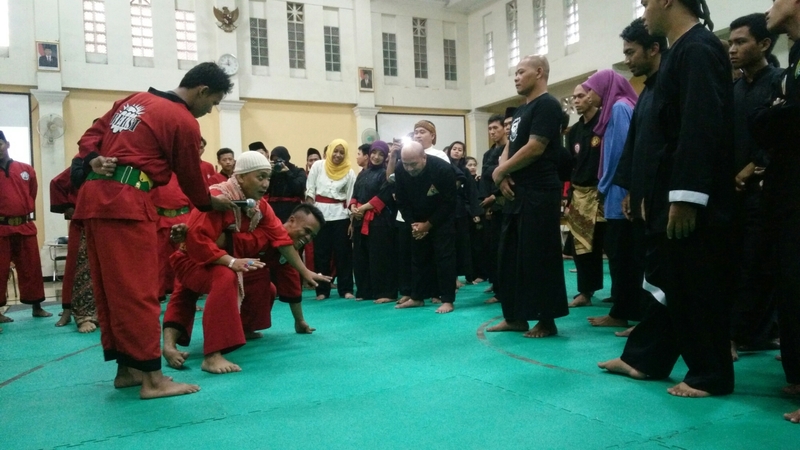 Dyn Safitri, one of the foundation’s female students, said she started practicing silat beksi while she was a student at vocational school SMK Putra Satria in South Jakarta. Safitri said as she benefited from practicing the style, she decided to become an active member and then an instructor at the foundation. “It has taught me to be more confident,” she said. Endang said the number of female students in the foundation had grown significantly in the past two years, thanks to the aggressive promotion. Today, the foundation is a home to hundreds of members. Endang estimates that around 200 high-leveled students hold their own group practices outside the foundation, with each group comprising around 40 students. “We’re hopeful. Half of our current students are young. We want them to grow up with passion for silat beksi,” she said. But their job is far from over. Their ultimate goal is inspire young Jakartans to have pride in learning the traditional martial arts style.